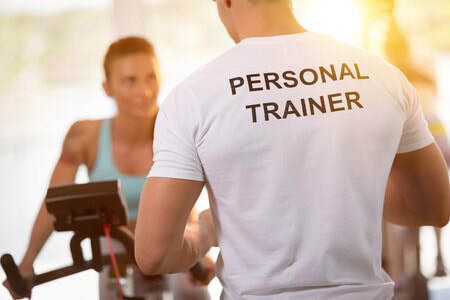 Will Power Personal Training offers In Home Personal Training throughout Danbury, Connecticut and nearby towns. Ready to increase your fitness level from the convenience of your own home? We have exercise programs available for men and women regardless of their current situation in life. We have trainers who specialize in working with a variety of different populations including pre & post-natal women, the elderly, high school athletes and people with post-rehabilitation needs. Maintaining healthy bone density is key for elderly individuals looking to keep active or prolong their lifespan. Falls are the leading cause of accidental injury among senior citizens. ​For the 65 years old and up club we recommend weight bearing exercises done in a safe and secure fashion. 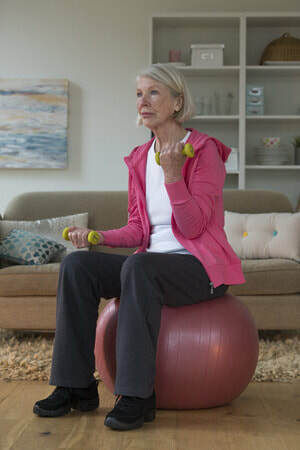 In addition to exercises being done to maintain bone density through the later years in life we also instruct our clients on how to balance correctly. Most falls can easily be prevented through the incorporation of balancing exercises into your fitness routine. We also provide sound nutritional guidance to keep those vitamin & mineral levels up during the later years in life. Many women are wondering how to properly exercise while being pregnant, but few are actually maintaining their fitness. Many expecting mothers stop keeping up with their fitness routines because they don't know how to workout properly. Our personal trainers have extensive background in prenatal exercise. We will guide you through a healthy pregnancy for you and you're baby on the way. Do I need to provide my own exercise equipment? Your personal trainer will bring all the exercise equipment required to get a good workout done from the convenience of your own home. He or she may use different areas of your house to incorporate into your exercise routine such as your stairs or backyard when the weather permits. What time are in home appointments able to be booked? Personal Training sessions are booked on a first come, first serve basis. We have many in home clients throughout the City of Danbury and surround towns including Bethel, Ridgefield, New Fairfield, New Milford and Brookfield. To allow for proper travel time there will need to be a buffer between sessions. Our personal trainers start booking sessions as early as 5am and as late as 8:30pm.